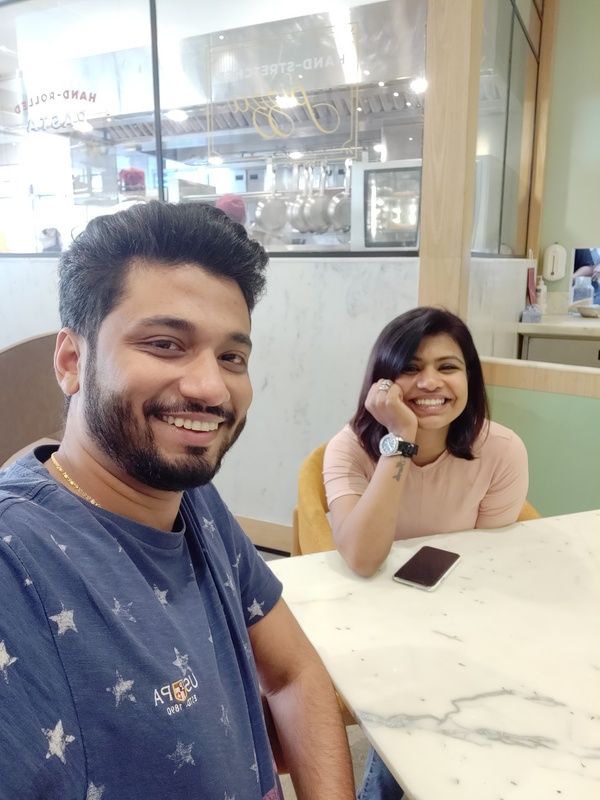 If you’ve been following my Social Media feeds, you would have noticed me raving about my lazy yet super special brunch at Sorrentina by Foodhall. Actually not only me, but many other bloggers and influencers from the food industry were part of this bandwagon, when Foodhall opened their largest outlet in the country, at Linking Road, Santacruz (West). Spread across 25,000 sq. ft. and four floors, this is definitely every foodies’ fantasy land. Sorrentina was launched by Future Group’s premium lifestyle and food superstore, Foodhall. Situated in Foodhall’s largest store at Linking Road Sorrentina is its first restaurant at the venue. Foodhall, Linking Road has been designed to offer exclusive concepts and an unmatched experience through its four levels each offering novelty from across the globe and Sorrentina is an integral part of that vision. ‘Sorrentina by Foodhall’, stands true to its name that is derived from the Sorrento region, which is a picturesque coastal town in the South West of Italy and is known for their conventional Italian dishes. The menu at Sorrentina is inspired by classic Italian cooking and is extremely ingredient centric taking inspiration from the different regions with each dish relaying a story behind its origin while the plating is decidedly contemporary. 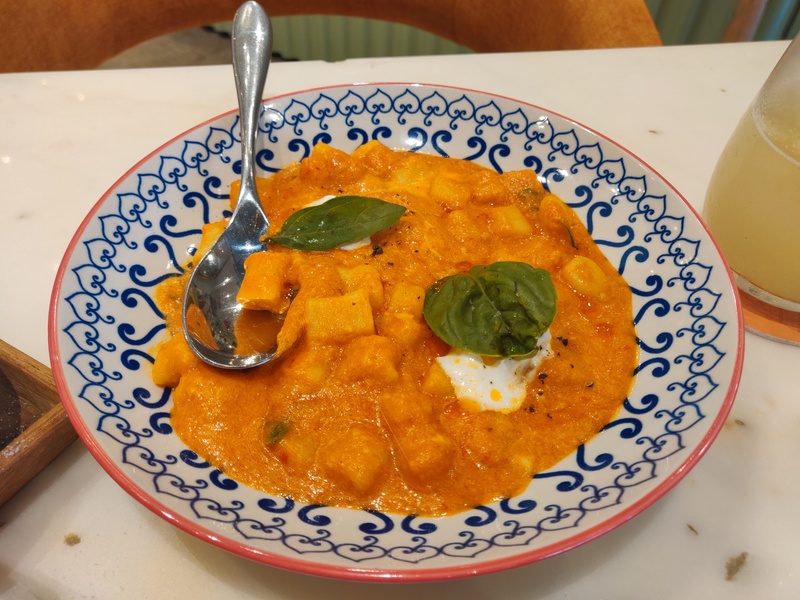 The idea behind the restaurant was the need to create a space where Foodhall’s patrons could be served authentic and delicious Italian food focusing on the ingredients and freshness by using the best quality of ingredients available at Foodhall itself. The menu has been conceptualized by globally renowned Chef Cristian Borchi, who has brought the heritage and authenticity of the Italian food to Foodhall. He believes in replicating what he has been creating in Italy for the last 18 years, delight guests with food and his ‘Nonna’s’ recipes. Chef Cristian, always had a passion for food and started his professional career at the age of 14. Bringing to the table a modern Italian albeit rooted in tradition, Sorrentina lets you indulge in all that is delicious about Italy including Antipasti, Neapolitan Pizzas, Handmade Pasta, Risotto, Gnocchi, Lasagna, and innovative flavors of Gelato along with the traditional Tiramisu and Panna Cotta. Chef Aabhas Mehrotra on the other hand, brings in the modern aspects and trends along with the understanding of both Indian and Italian cultures and the urban guests. Our special brunch at Sorrentina started with two very refreshing drinks from the bar – One Hibiscus based and the other cucumber based drink. Both very refreshing and totally flavorful, went well with our meal. The restaurant also has a full bar menu that focuses on Italian wines offering a large, approachable & affordable range. Next up was the Parma Pizza. 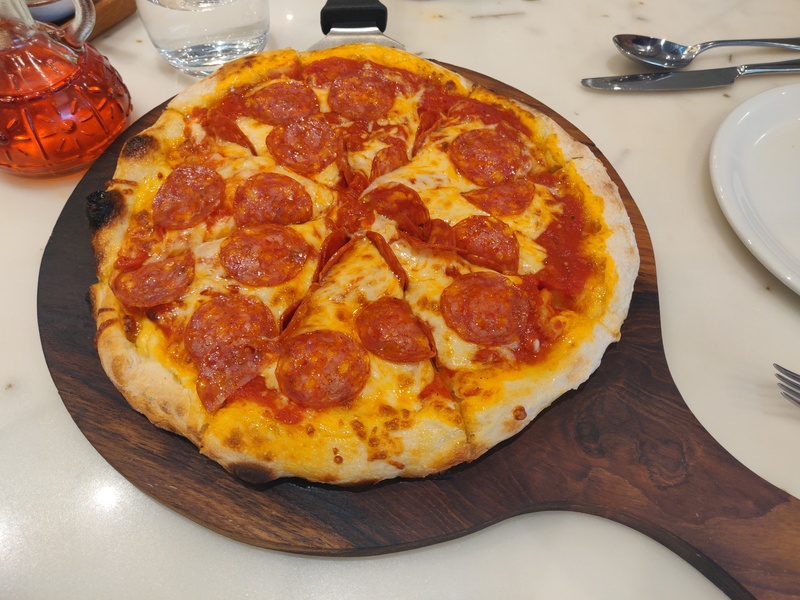 Now this one is possibly the best pizza I would have eaten till date – super soft pizza base, with lots of mozzarella cheese and flavorful ham. I cannot leave an authentic Italian place, without trying their Gnocchi 😉 Next up was the Gnocchi Ala Sorrentina – With fresh tomato, red Chilli and Burrata, this dish was a total flavor riot. The gnocchi pasta was perfectly cooked, not very doughy and blended so well with the flavorful sauce. Where and when was the best Tiramisu that you indulged in? Mine was at Sorrentina 🙂 The tiramisu was moist, creamy and a perfect dessert to end this super special brunch – along with the super cup of Cappuccino ofcourse! Over the years, Italian food has grown to be an all-time favourite cuisine across age groups. Devour the freshness and authentic fragrance of your meal while watching it being prepared by the live glass door kitchen of Sorrentina. The interiors of Sorrentina are reminiscent of the elegance that Italy is synonymous with. 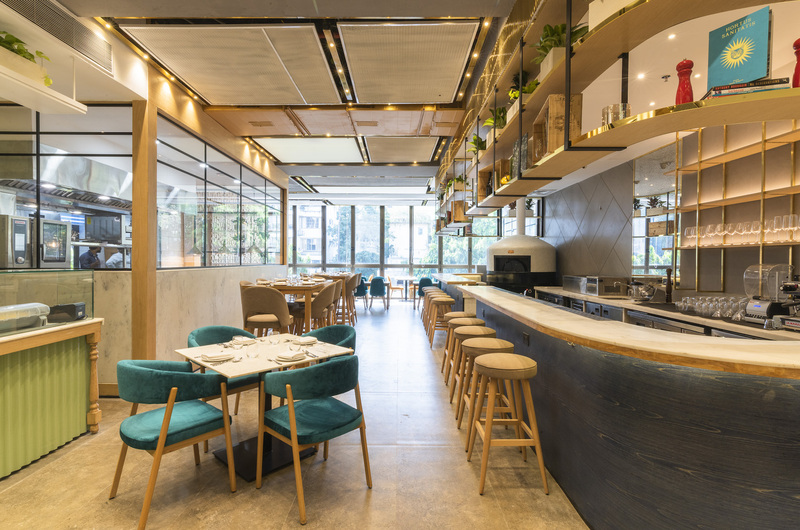 Sorrentina by Foodhall’s decor combines a contemporary demeanor with a classic set up and chic vibe. All in all, Sorrentina a perfect cozy all day restaurant that will make you want to visit again. Have you visited Sorrentina by Foodhall yet? Do let us know your experience in the comments section! ← Movie Review: Badla – An Intriguing Whodunit That Is High On Drama, Twists And Turns!